When the days grow shorter and the air chills the golf remains great on Cape Cod, Massachusetts. Long a haven for artists, writers and just plain folks who want to get away from the hubbub of city life and while away the days on the beaches, hiking trails and shopping in cozy villages that line this special peninsula jutting into the Atlantic Ocean, golfers have discovered The Cape is an ideal place to enjoy their hobby. September, October and November are ideal times to spend a week golfing The Cape. From championship 18-hole layouts, resort courses and charming, old nine-hole tracks, The Cape offers myriad golf options. Because of the proximity to the warming waters of the ocean, Cape Cod remains fairly mild throughout the year and courses will remain open year-round if the weather permits. For after golf there are the aforementioned beaches, now far less crowded than during the hectic days of summer, as well as charming seafood restaurants, lobster shanties where you can sample fresh caught seafood and enjoy a beverage while sitting on a picnic table and gazing out into a harbor or the rolling ocean waves, and historic sites galore. The magical National Seashore and its remodeled visitor’s center, as well as a number of other wildlife sanctuaries, feature miles of walking and biking trails and unfettered strolls along the beach. And it’s easy to find suitable accommodations, whether it be on the ocean or bay side of The Cape, a swanky hotel in Chatham or a cottage in the dunes in Wellfleet. The mild days and cool nights of autumn conspire to help the golf courses turf stay green and lush, even after a hot summer. The slower pace of fall on The Cape also means you don’t have to fight for tee times, which makes for a relaxed game. And remember, all the golf you could want is located within an hour or two drive from wherever you bunk down for the night. Thanks to Golfing Magazine’s comprehensive Course Play Stimulus Program, our subscribers can try out a number of courses on Cape Cod. Check out the details of this can’t miss offer in this issue. 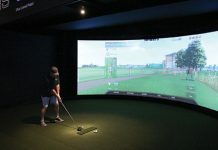 Call 860-563-1633, or visit www.FreeGolf.net to sign up. 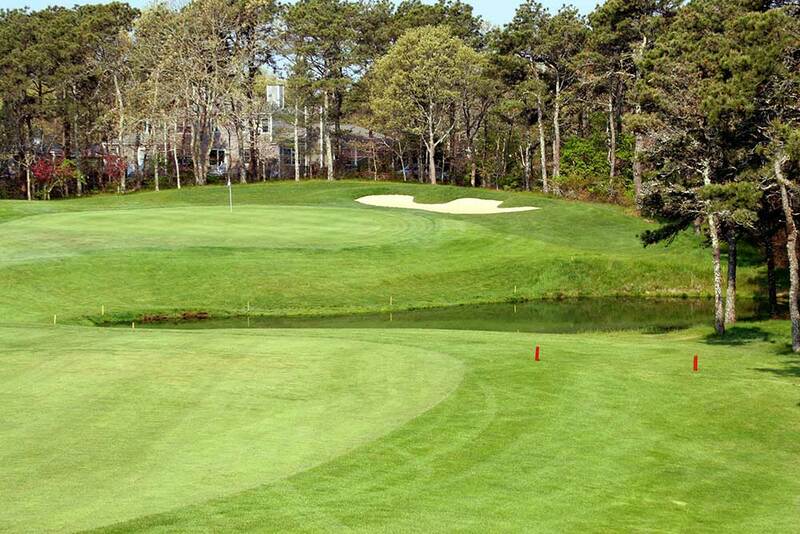 Here are some of the best courses to test on your autumn Cape Cod road trip. We’re going to start our Cape Cod Golf Trail in what is referred to as “The Olde Cape”, in Plymouth, which was part of The Cape’s arm before it was cut off from the peninsula by the building of the Cape Cod Canal. This is an historic town with so much to see you have to stick around for a bit. It also has one of the best golf courses to be found on your journey, Waverly Oaks Golf Club. The club lives up to its billing as a daily fee facility that offers a private club feel, and offers a challenging yet approachable routing that will test but won’t beat you up. Much of the beef on the layout comes from its very good par-threes, three of which play over 207 yards, including the 234-yard third and the 251-yard 17th, with the latter being perhaps the most difficult short hole in the region. It demands a superbly struck tee shot over a waste area and a yawning bunker that sits some 15 feet below the putting surface. An up and down from below the green is a difficult task. Sandwich Hollows Golf Club in Sandwich offers views of Cape Cod Bay to the north from several holes. The course is bordered by hundreds of acres of conservation area to the east, west and south, giving golfers the feeling of being isolated from players on other holes. Sandwich Hollows features a number of par-fours on the short side, several long par-threes, and challenging par-fives, one of which (the sixth hole) measures close to 600 yards from the tips. Yarmouth is home to 45 holes of golf that encompasses the newly renovated Bayberry Hills Golf Course, the Links 9, and Bass River Golf Course. 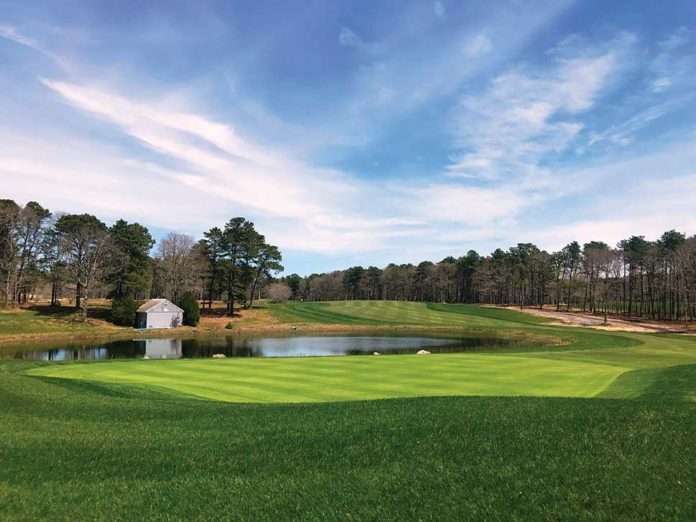 The work at Bayberry Hills Golf Course was undertaken by Tim Gerrish of Providence, R.I., a former member of the Geoffrey Cornish/Brian Silva team that laid out the track in 1988. Changes were made to make the nearly 7,300-yard course friendlier to the average golfer, yet maintain or even enhance the course’s challenge to the low handicap player. Embracing the Bob Jones/Alistair MacKenzie (Augusta National Golf Club) design style, bunkers have been renovated and re-positioned to enhance play options. Plus, bunkers have been replaced with closely mown collection areas on some holes, providing multiple options for greenside recoveries, fairway corridors have been widened, and green surrounds have been expanded. Rough areas in the front of greens have been replaced by tightly mown fairway to create the illusion of false fronts in many cases. Fairway corridors have been widened and tree lines thinned, allowing for recovery shots where previously none existed. This feature, accomplished through the removal of over 3,000 trees, provides enhanced course playability, along with a vast improvement in aesthetics and added panoramic course views. The course’s original bunkers were re-built to reduce sand area, while maintaining proper proportions and enhancing the original style. The bunkers were lined with pervious capillary concrete that allowed dramatic sand flashing, while reducing bunker face maintenance, especially for post-rain events. 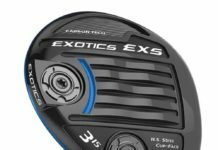 Forward teeing areas on four holes were added for more options in course setup and to provide additional user friendliness. Three tees were re-surfaced, including a new championship tee on number three (a par three), stretching the course to nearly 7,300 yards. In some cases, tees were located for better playability, and on other holes additional playing surface was added to provide varied play lines and more tee placements. The Links 9, which is on the property at Bayberry, opened in 1999 and is a real fun layout to play, with its wide open fairways, solid par-threes and exposure to the Cape’s wind, which makes the course play different from day to day. A number of the holes are doglegs, which makes approach shots tricky if you don’t put your tee shot in the proper position. Number nine is a 195-yard par-three that demands an accurate shot over water to reach the green. Bass River Golf Course is a 100-plus-year-old course that the legendary Donald Ross renovated and expanded in 1914. The layout rolls along among trees and sandy hills and features narrow fairways, small greens and views of nearby Bass River. The club’s signature hole is the sixth, a 169-yard par-three that plays across the river. Overall, the layout is on the short side, but the holes demand good shot making and a good short game, a typical Donald Ross demand on the player. Barnstable has two superb golf courses to sample, the Hyannis Golf Course (Hyannis) and Olde Barnstable Fairgrounds (Marstons Mills). 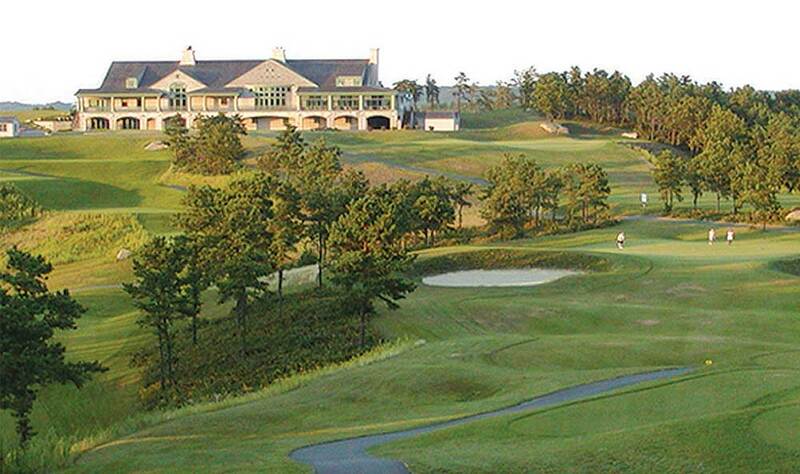 Both courses embody all the best qualities of Cape Cod golf. Home to the Cape Cod Open and the 2015 Cape Cod PGA Championship, Hyannis Golf Course sits at the geographical center of Cape Cod, just minutes from downtown Hyannis, the Barnstable Airport and the ferries to Martha’s Vineyard and Nantucket. The course plays to a par of 71 and features the area’s best practice facility, including a 55-station practice range and two practice greens. In addition to being a fun layout, Hyannis Golf Course is well known for having greens as nice as you’ll find anywhere–including those at private facilities. The putting surfaces are consistent, fast, and smooth and are a big reason HGC is one of the finest golf experiences Cape Cod has to offer. In the Mid-Cape town of Brewster you will find one of the most comprehensive daily fee clubs in the area. The Captains Golf Course features 36 holes of golf on two very distinct 18-hole layouts. The club calls itself the Cape’s premier public golf facility and few dispute the claim. The conditioning here is always excellent, the golf is challenging but approachable for players of all abilities. The Port Course plays to a yardage of 6,724 yards and has a slope of 131 and a rating above its posted par of 72, which gives an indication of the difficulty of some of the holes. One of the best holes is the 573-yard, par-five eighth. A pond guards the putting surface and there are several large fairway bunkers to complicate matters. The Starboard Course plays around 6,800 yards and has a slope of 122. 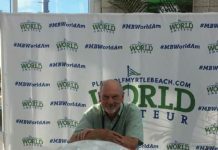 It’s a bit more “player friendly” than its sister layout, with wider fairways, large greens, and fewer bunkers than the Port Course, which makes it more suitable for mid- and higher handicap players. Number 18 is a great finishing hole, a 534-yard par-five that can be reached in two by big hitters. 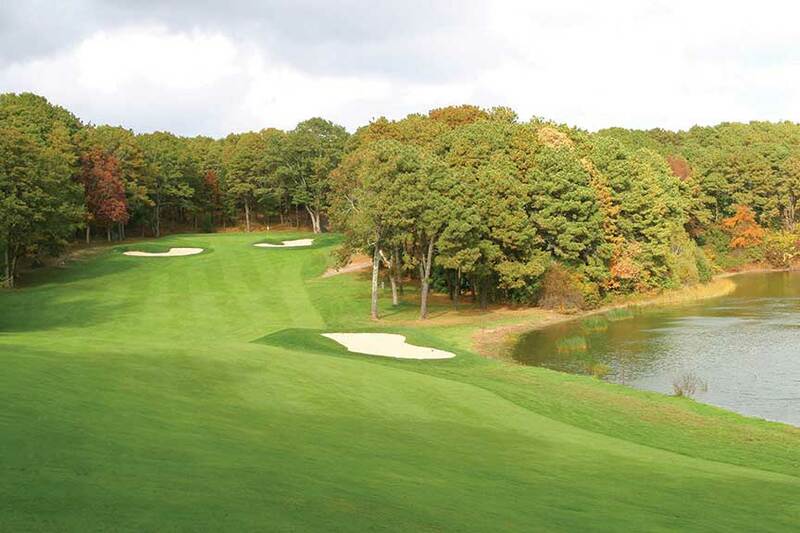 Cranberry Valley Golf Course, located in Harwich, is a well maintained course that features a superb routing that flows easily over beautiful terrain, which includes marshes and, of course, a few cranberry bogs. Cranberry Valley isn’t overly long, 6,745 yards from the tips, but there are a number of dogleg holes that add invisible yardage and demand proper club selection and shot placement off the tee. Par is 72, with the course rated 73.4 and a slope of 133 from the back tees. Most of the course’s par-fours measure less than 400 yards, including the 309-yard 15th, which is approachable off the tee for the long hitters. All of the par-fives, except for perhaps the 18th hole, are reachable in two for the bombers. The par-threes are very demanding, none more so than the next last hole, a brutal 229-yarder. 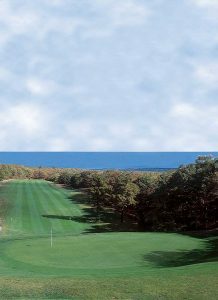 The town of Dennis has two of the best courses on the Cape. Dennis Highlands is situated on 175 acres of pine and oak forest on the north side of Dennis. 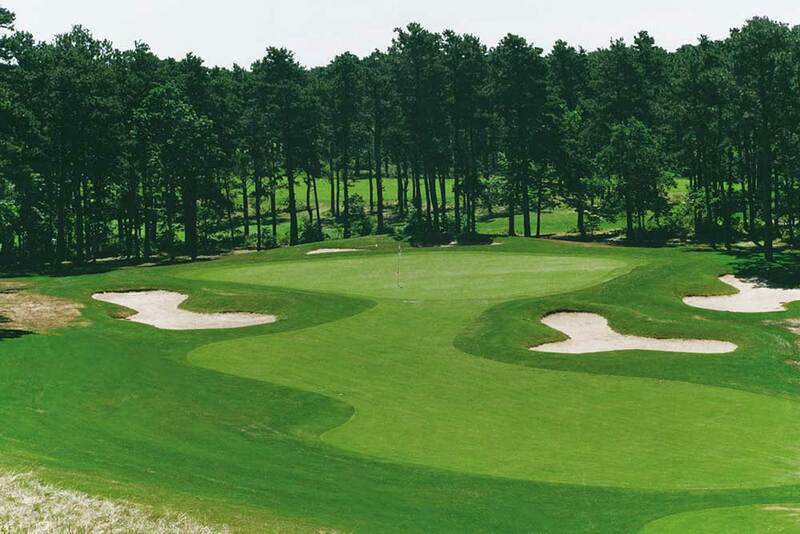 Designed by Jack Kidwell and Mike Hurdzan and opened for play in 1984, Dennis Highlands is considered by some to be one of the “crown jewels” in the traditional list of fine Cape Cod golf courses. It boasts a spectacular practice range and offers a visually enjoyable golf experience. Dennis Pines is located on 170 acres of pine forestland in East Dennis. Designed by Henry C. Mitchell and opened for play in 1966, Dennis Pines has long been noted as one of the toughest layouts on Cape Cod. Tree-lined corridors place a great premium on accuracy rather than distance. Water comes into play on four holes, and the 12th hole is known as one of the most difficult par-fives anywhere. The Pines plays 7,029 yards from the tips and will provide the most accomplished players a true test of golf. for individual course website information.